The first in a series of books by Waging Nonviolence authors is about to hit bookstores across the country — and we’ve got a limited number of advance copies available for new members, or current members who upgrade. 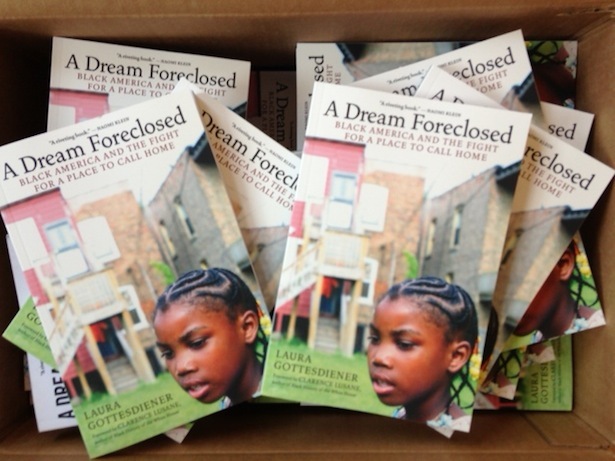 You can be among the very first to receive a signed copy of associate editor Laura Gottesdiener’s forthcoming book, A Dream Foreclosed: Black America and the Fight for a Place to Call Home, by joining the site between now and the release date, August 13. Become a WNV member or upgrade your membership — for as little as $5 a month. Supplies are limited to 25 copies, so be sure to join or upgrade your membership today to receive your copy of A Dream Foreclosed! Thank you to everyone who has become a member of Waging Nonviolence already. Your sustaining support allows us to continue covering social movements from Turkey to Brazil and New York City to Egypt. Join today — and help us do even more of what we do best.